Jeffrey was raised in Florida. After working his way up the ranks of local kitchens in Gainsville, Florida he took charge of Emiliano’s Café, under executive Chef Ali de Paz with chef Joe Ramos. He later worked with Michelin Star Chef John Tennick and Chef Phil Robertson all becoming major influences in Jeff’s culinary journey. Eventually Jeffery reunited with chef Alida De Paz and opened MYA New World Cuisine in Escazu Costa Rica. 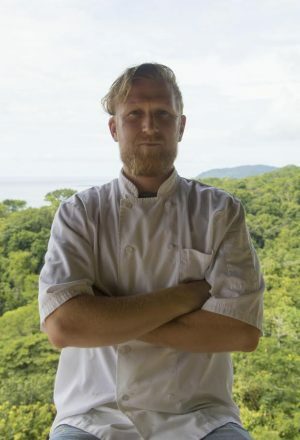 Having the opportunity to work with great chefs, allowed Jeff to apply his personal experience mixed with the knowledge gained from great authors such as Norman Van Aken, “The Father of New World Cuisine”, His talents in the kitchen were impossible to ignore, by the age of 28 Jeffery was executive chef of Morgan’s Hotel and Resort and continued working in Costa Rica. Chef Jeff always applied the importance of sustainable practices and local products and produce to every restaurant and hotel he worked at. Jeff received a call from long time fan (from his days at Mya) and CEO of Anamaya Body, Mind and Spirit Resort, Geoff McCabe to join the team. For Jeff this is not only a chef’s dream but also the way all farm to table cooking should be. Anamaya has a farm, Rancho Delicioso only eight minutes up the road from the resort. 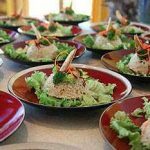 Dedicated to serving the guests, producing super foods such as Gotu Kola, Moringa, Holy Basil, etc. Together with his kitchen team at Anamaya, Chef Jeff continues to provide the retreat guests with a 100% gluten free, organic, and local menus daily. Watch the video below to learn more about Jeffery’s journey at Anamaya.